For those unaware, BlackLight Radio has returned, streaming the 80s greatest hits 24/7/365. (You can click the play button to the right –> to listen to us. Since our last go-round, there have been a few (positive) changes I wanted to share. First, we are commercial free. We tried to go with an advertising agency to generate income to pay for our licensing, but there was never any way to get financially ahead of the bills. We are working on some new in-house ideas for (minimal) advertising that should pay for our licensing, and perhaps generate some income off of the website to help pay for our licensing fees as well. Second, you’ll notice on many media players, web pages, and apps that you now see the album title. I don’t know of any other internet radio station offering this information embedded in their stream, but we thought it would be helpful for you as you expand your 80s music collection. To help you read the stream: “Michael Jackson – Billie Jean (’83) [Thriller]” translates to Michael Jackson is the singer, the song in Billie Jean, the song was a hit in 1983, and it is from the album Thriller. You could also say it as “ARTIST – SONG (YEAR) [ALBUM].” I hope this enhances your enjoyment of the music on BlackLight Radio! Third, we’ve added ourselves to numerous websites and apps to improve accessibility and discovery. A partial but incomplete list of sites we’ve recently added ourselves to include Opti Radio, vTuner, Radio.net, Nobex, Music Goal, Streema, StreamFinder.com, and RadioGuide.FM. If your favorite site or smartphone app isn’t listed here, let us know and we’ll get in touch with them and try to get our stream added! Fourth, with the addition of so many site listings, we’ve upgraded our servers. 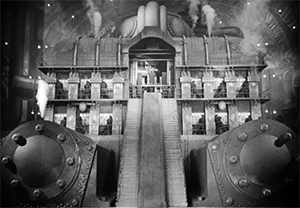 We can now handle 9,999 listeners at the same time… so stream all you want, we’ll make more! Our servers are located in Canada and are pulling in listeners from around the world… listeners have to tuned in to BlackLight radio from over 60 countries around the world, including Germany, Columbia, Argentina, The United Kingdom, Switzerland, Australia, Hungary, and Japan! The BlackLight is ON, world-wide. Fifth, and I’m very excited about this, we’ve started our long-promised BlackLight Radio Listener Advisory Board. Every week I send the board members nine songs from the 80s. They tell me if they like or dislike the song, and I make adjustments to our playlist every week. Over time the Listener Advisory Board will end up making significant positive changes to the music rotations on BLackLight Radio. If a song is voted down it doesn’t go completely away but it will be played less often… and if a song is voted up, it’s played more often. It means that with every week that goes by you should hear more of your favorites more of the time. If you’re a regular listener to BlackLight Radio and would like to be a member of the BlackLight Radio Listener Advisory Board, just send me an email at Inbox@BlackLightRadio.com letting me know. It’s free! I’d love your input on the songs we play. There are many wonderful things on the way, but I think this is enough for now. Keep watching this space for updates! Join us on Facebook for lots of fun 80s content, and of course listen long, loud and proud to BlackLight Radio!!! Tom Petty was rushed to the hospital Sunday night after he was found unconscious, not breathing and in full cardiac arrest … law enforcement sources tell TMZ. Sources tell us at 10:30 Monday morning a chaplain was called to Tom’s hospital room. We’re told the family has a do not resuscitate order on Tom. We’re told after Petty got to the hospital he had no brain activity and a decision was made to pull life support. In tribute to Tom Petty, BlackLight Radio is airing an hour of his 80s hits at 4pm central time. Petty was born in Gainesville, FL, on Oct. 20, 1950. Despite his easy-going, affable persona, Petty endured a rough childhood, living in poverty with an alcoholic, abusive father and a mother who was in fear of her husband. But a childhood handshake with Elvis Presley in the ’50s piqued his interest in rock n’ roll, and at the age of 17, inspired by the Beatles and the Byrds, Petty dropped out of high school to play rock with his band, Mudcrutch. 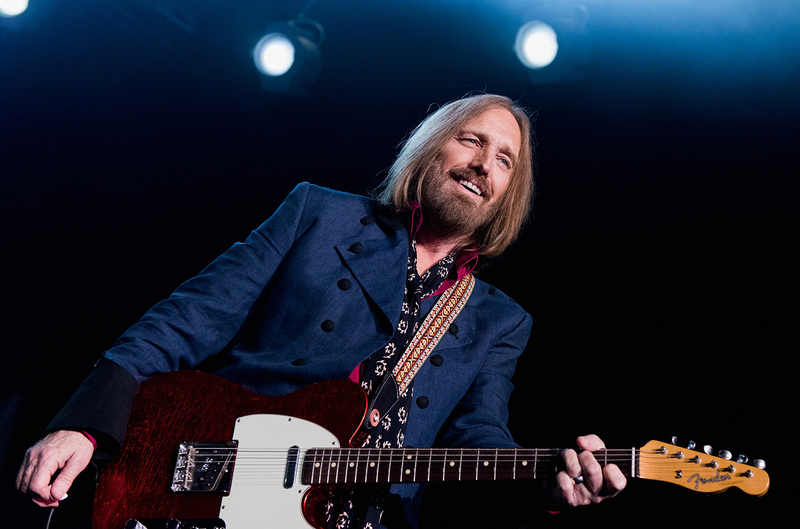 After that band broke up, Petty and several of its members formed Tom Petty and the Heartbreakers, which catapulted him to the forefront of rock music for the next 40 years. While new wave and synth-pop took hold in the ’80s, Petty stuck to his no-frills heartland rock style while still appealing to a young fan base. Platinum albums, massive tours and hit singles (including the No. 3-peaking duet “Stop Draggin’ My Heart Around” with Stevie Nicks) followed, and he began to branch out creatively from the Hearbreakers as the decade came to a close. After joining George Harrison, Bob Dylan, Roy Orbison and Jeff Lynne in the supergroup-to-end-all-supergroups Traveling Wilburys – whose 1988 debut hit No. 3 on the Billboard 200 – Petty continued to work with Lynne on his solo debut, 1989’s Full Moon Fever. It would prove to be his most blockbuster release since Damn the Torpedoes! a decade earlier, going five-times Platinum, hitting No. 3 on the Billboard 200 and producing arguable his best-known song, the inescapable “Free Fallin’,” a No. 7 Hot 100 hit. Within the space of two years, Petty followed his runaway hit solo LP with another Traveling Wilburys album as well as a new Heartbreakers album. 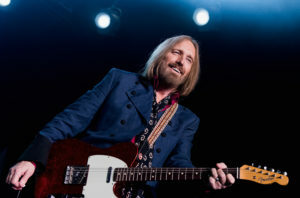 Barely slowing his pace throughout the next three decades, Petty continued releasing albums, whether with the Heartbreakers, solo or Mudcrutch. “We ain’t no punk band, we ain’t folk rock, jazz rock, or any of that bull… Just rock, and we don’t put no other name on it than that. We’d be stupid if we did,” he told Rolling Stone in the ’70s of his style, which — despite his knack for inventive songcraft — would stay largely the same throughout his career. For those unaware, Phil Collins (“Against All Odds (Take A Look at Me Now),” “Sussudio,” “Another Day in Paradise”) launched his “Not Dead Yet Tour” (named after his autobiography) on June 2nd in England. If you missed that, you may have also missed that on June 7th he fell in his hotel room after getting up to go to the bathroom in the middle of the night. In the fall, he hit a chair and ended up requiring stitches for a gash on his head close to his eye. He was held at the hospital for 24 hours for observation. The good (amazing?) news is that he was able to resume his tour Sunday, just four days later! Despite his ordeal, the singer looked in good spirits as he returned to the stage. Collins sported a white bandage on his forehead for the performance in Cologne, Germany, covering a mass of stitches above his left eye. Phil sat for the night’s performance, while his 16 yr old son Nic Collins backed him up on drums. His performance earned him a standing ovation from the sold out crowd at Lanxess Arena, where he has a five-date residency. “Last night was number two of five sell-out shows in the 16,000 seat arena and for the second night all of the audience was on its feet for the whole second half of the show,” Collins’ rep told the New York Post. He will also be performing in Paris and returns to London for a June 30 show in Hyde Park. Collins’ canceled concerts at the Royal Albert Hall in London for last Thursday and Friday were rescheduled for November. 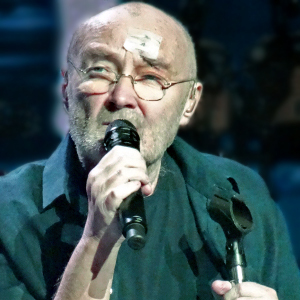 His “Not Dead Yet Tour” marks Phil Collins’ first tour in nearly 10 years. Phil Collins has released 8 studio albums, 1 live album, 3 compilation albums, 45 singles, 16 video albums, 38 music videos, 2 soundtrack albums, 2 box sets, and 1 remix album. A Grammy and Academy Award-winning solo artist, Collins has sold more than 33 million albums in the United States, and 100 million records worldwide.